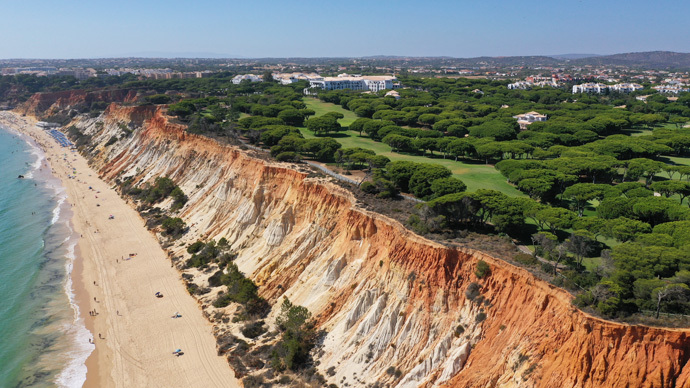 Pine Cliffs golf course is a 9 hole golf course located just outside Albufeira. An excellent challenge allows you to use the yellow tees 2019mt for the first round and the white tees 2226mt for the second round. 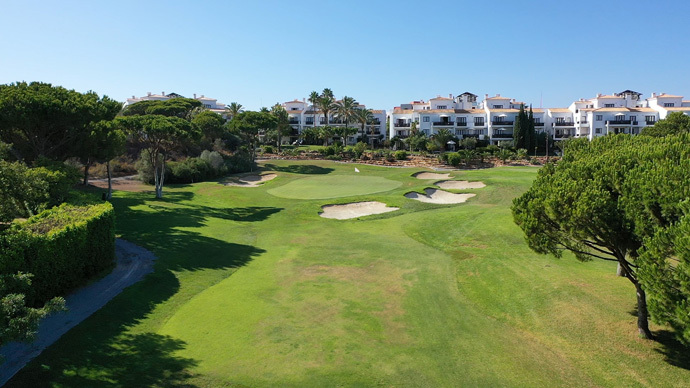 The golf course has medium greens and hard rough if you miss the fairway and is quite narrow and short. 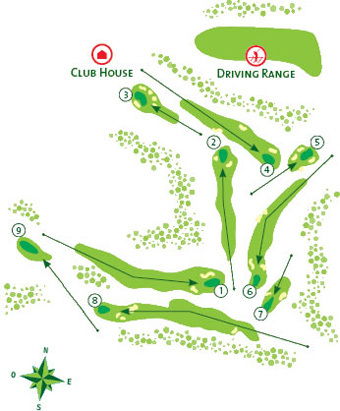 Hole 6 named ‘Pearl Harbour’ is 190m over the cliff and one of the most photographed. 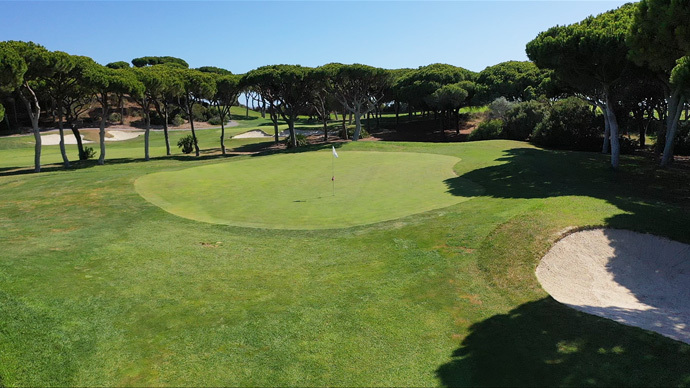 Pine Cliffs would suit players with medium and high handicaps and is a fairly friendly course for ladies enabling them to enjoy a shorter distance course 1.805mt each 9 holes .A lovely golf course with excellent views over the ocean on holes 5 and 6 .